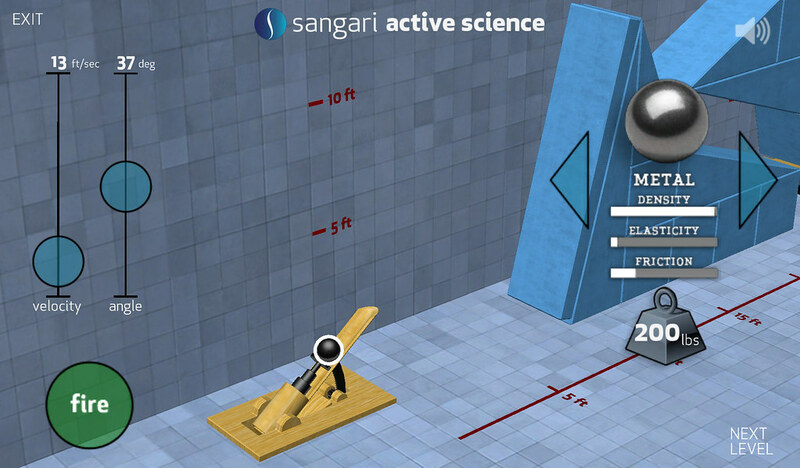 The Sangari Physics Game aims to teach kids about projectile motion and physical properties such as density, elasticity and friction. A ball must be aimed and fired from a launcher. 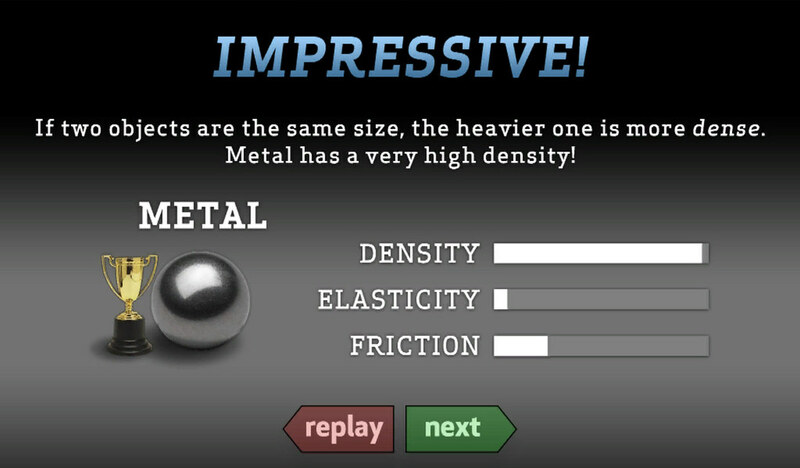 If the angle, velocity and material chosen for the ball are correct, the player will be able to complete the level successfully. 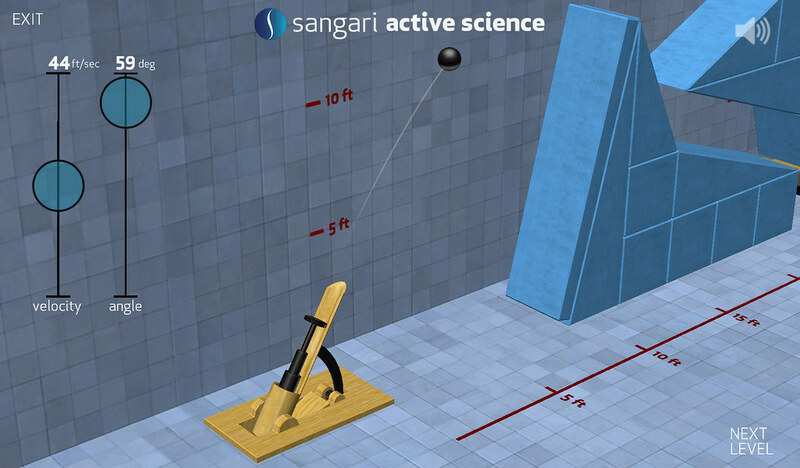 Through experimentation and play, players learn how the physical properties of the projectile affect other objects in the game and must use that knowledge to advance to the next level. 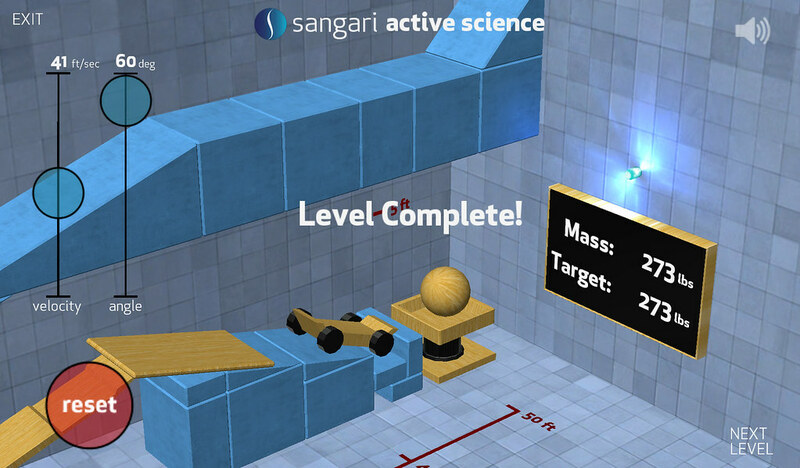 The game is a prototype exploring how educational games can supplement the Sangari Active Science curriculum. It is designed to be played on android tablet devices via a touch screen interface. 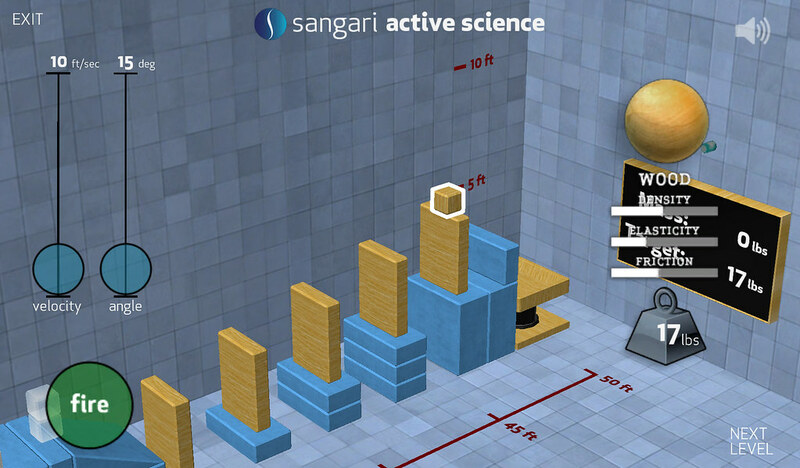 For more than 40 years, Sangari Global has provided high-quality investigation-centered science materials to universities in 16 countries. 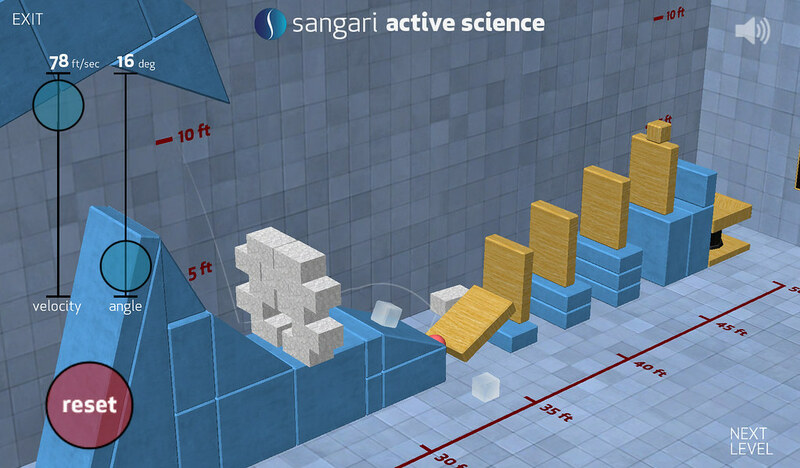 Sangari has now turned to focus on elementary and middle school science education, currently serving over 500,000 students in North and South America.